The following is “re-reading” for anyone that has ALREADY taken an avalanche course. Before we get started on how to use an avalanche beacon, you need to make sure you know how to use your beacons features. Before even leaving from the trail head (preferably from your house) turn your beacon on and make sure it’s transmitting. Anything under 60% should be replaced with fresh batteries. Each time one of your pals takes a run in the backcountry it’s important for the rest of the group to keep their eyes on them. If an avalanche occurs, you need to know the approximate location where your friend was buried. Ride down to this point and start your search there. Also make sure you are strapped in and ready to go in the event that an avalanche does occur. First things first, is the slope safe to enter? If so scan the area around you for any signs of your friend. 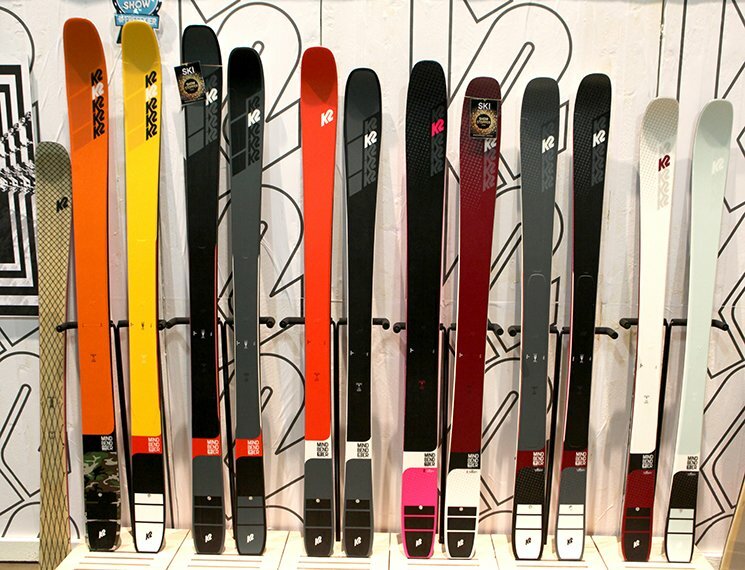 Gloves, goggles, or ski poles sticking out of the snow are common clues. No sign of your friend? Then turn your avalanche beacon to receive mode. If you had a last known location of your friend, then you can slide down the mountain in a straight line to that point. Most modern-day beacons use three separate antennas and even have a direction and distance indicator. 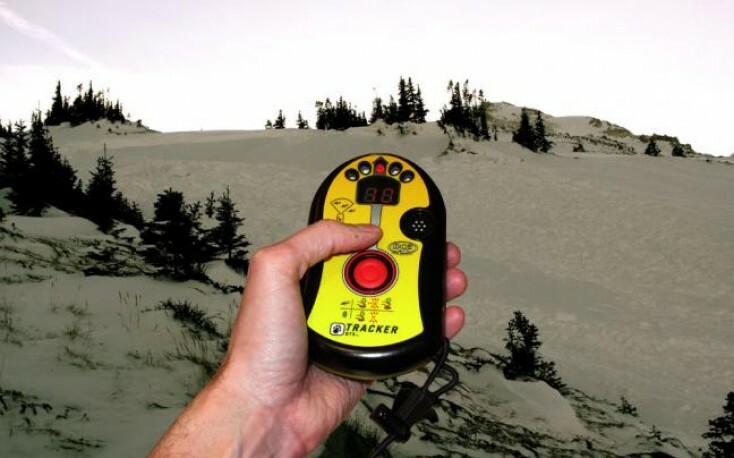 Once your avalanche beacon starts to receive a signal, you want to follow its arrows in the direction that it points you. Make sure that the distance on the beacon is getting smaller – this, of course, means you’re nearing your friend. When you’re nearest your buried comrade, your avalanche beacon will display its lowest number. On many models this can be as little as three or four feet. Once your beacon displays its lowest distance, begin to use the grid method to pinpoint your pal’s precise position. Keep your beacon in a fixed position in your hands and move it across the slope. Hold your beacon as close to the snow as possible. Keep moving it in the direction that the display shows is lowest. Make a mark on the spot of the lowest distance you find. Move in a straight line perpendicular to this spot and find the lowest distance there. Mark this spot too. This will enable you to better pinpoint your friend’s position underneath the snow. Probe the area in the vicinity of the area you pinpointed with your avalanche probe (you need one of these avalanche safety tools too!). When you poke your friend with your probe, they will feel a little squishy, not hard. A hard object is probably a rock or a tree. If you performed your initial beacon search correctly and efficiently, you should find them in the area you pinpointed. Sometimes you might have to spiral out from your pinpointed area slightly. Once you find your friend with your avalanche probe, don’t waste any time before you start digging. Take out your shovel and dig in a strategic manner. Figure out how to get to their airway most quickly. Rather than dig straight down to where they are located, dig from a downhill position. Your primary concern when attempting to rescue a friend from an avalanche should be to get to their airway as soon as possible. It’s hard to breathe when you’re covered with snow. So focus your shoveling on the area around your friend’s mouth and chest before starting to uncover other parts of their body. Wondering what beacon to buy? Check this piece we did on the best avalanche beacons of 2019. The following is “re-reading” for anyone that has ALREADY taken an avalanche course. Before we get started on how to use an avalanche probe, you need to make sure you know how to use your own probes functions. Getting stuck in an avalanche is something that no backcountry snowboarder ever wants to think about. Yet thinking about it – and understanding what to do if you’re ever in one – is essential to your safety in such an emergency. An avalanche probe is one of the primary tools that you should carry with you when you venture past the tape and into the fresh, unadulterated powder. Having one handy can knock several life-saving minutes off of rescue time in the event of an avalanche. The newest and best avalanche probes are as lightweight and compact as they are useful. Most are quickly collapsible and easily attach to a backpack. Below is a walk-through on how you can best use an avalanche probe. If you’re new to the backcountry, then understanding the technique is a must. Even if you’re an experienced backcountry snowboarder, a refresher never hurt anyone. These tips will prove essential if someone you’re riding with is buried in an avalanche. *Nowadays it is highly inadvisable to venture into the backcountry with only an avalanche probe. Even when you know what you’re doing with one, your best effort will be slow and mostly guesswork. So invest in an avalanche beacon. They are expensive but nothing is more valuable than human life. The first step to an avalanche rescue with a probe is to ready the probe itself. This means to uncollapse it so that it is in its longest position. If no one in your group has a probe (don’t forget yours! ), then you must find a tree branch or another long object to use instead. Your initial search should be performed quickly yet thoroughly. Your best bet is to probe the areas where debris has piled up. These areas will include debris piled up on the sides of trees, debris collected on the outside of turns, and debris at the bottom. You should also initially focus on any areas with clues like skis, goggles, gloves, etc lying around. The best way to use your avalanche probe during your initial search is to look for anything sticking out of the snow. Probe around these areas and see if you hit anything solid. Don’t spend a lot of time in each spot. You want to cover the entire avalanche area quickly, in ten to fifteen minutes tops. If you didn’t have any luck with your initial search, then it is time to perform a more organized probing of the avalanche area. Organize your party into probe lines. Start in the most likely area for someone to be buried (once again, an area with a glove, ski, goggle, etc or the bottom of the avalanche area) and work uphill. A surprise avalanche can bury someone just about anywhere underneath it. This is where the three-hole probe comes in. Simply form a line with the others in your group where you are touching fingertip to fingertip with your arms stretched out. Then probe three times into the snow in front of you. Once directly down, once to the left, and once to the right. Cover the entire avalanche area in this fashion. 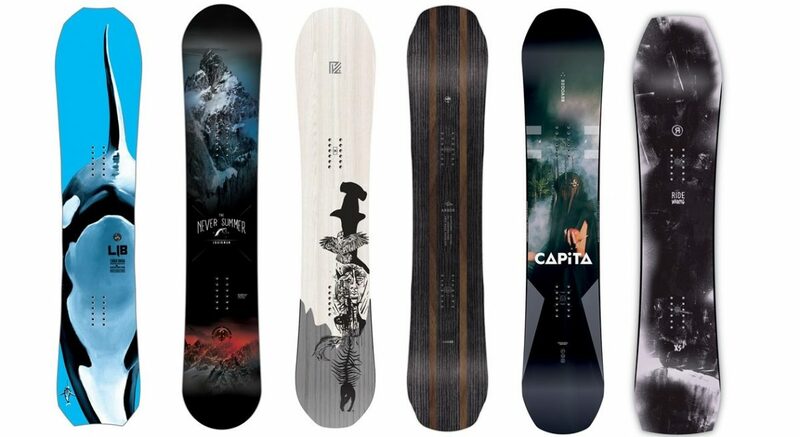 If your snowboarding party is small, then it is essential to keep everyone around to help with the organized search. Even if your party is larger, everyone should help with the initial search. It will give whoever is buried a better chance of survival. After thirty minutes to an hour of an organized three-hole probe, it is necessary to send someone down for help. It’s best to send a group of two if possible. Need a to upgrade your probe? Check out our picks for the best avalanche probes for winter. An avalanche can occur at any time in the backcountry so it is important to always be prepared for them. In addition to a beacon and probe, every member of your party should carry a snow shovel too. You never know who or how many people are going to be buried in the event of an avalanche and you definitely don’t want your only avalanche snow shovel to be trapped underneath the snow as well. It’s always wise to carry an avalanche probe with you when you’re out in the backcountry, whether you’re snowboarding, skiing, snowmobiling, or doing something else. While an avalanche probe will greatly increase the chances of the buried being found alive, they’re really not very reliable. In fact, over three-quarters of those buried completely under the snow in avalanches don’t survive unless they are wearing an avalanche beacon. So once again, learn how to use your probe, carry it with you into the backcountry, but also buy a darned avalanche beacon. 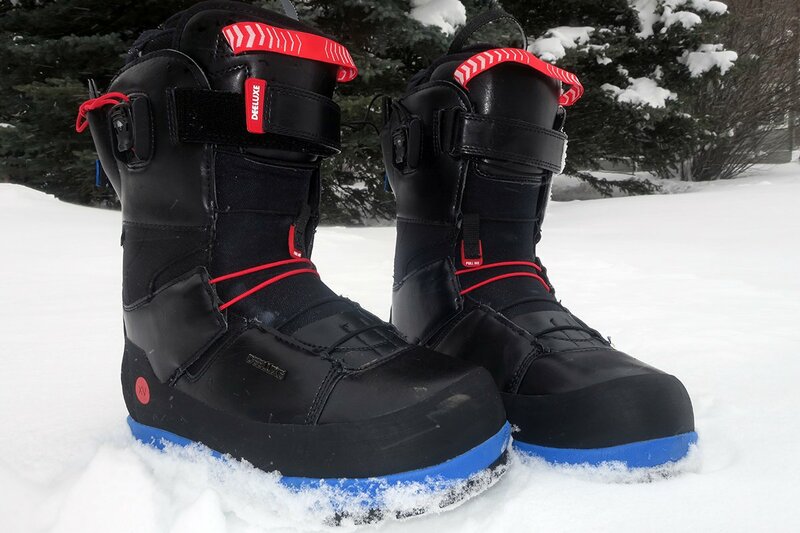 They’re your best bet for keeping yourself, your loved ones, and your buddies (c’mon, you love them too) alive and well when worse comes to worse in the backcountry. If a buddy gets trapped in an avalanche, a snow shovel is going to be your best friend. After locating their position underneath the snow with the help of an avalanche beacon and an avalanche probe, it’s time to dig. Focus on digging out your trapped friend’s airways first. All of that heavy snow makes it difficult to breathe even if they’re lucky enough to be in an air pocket. Take care to remove snow from their head and their chest before removing it from other parts of their body. Another key tip to make the most of your avalanche snow shovel is to dig from below. 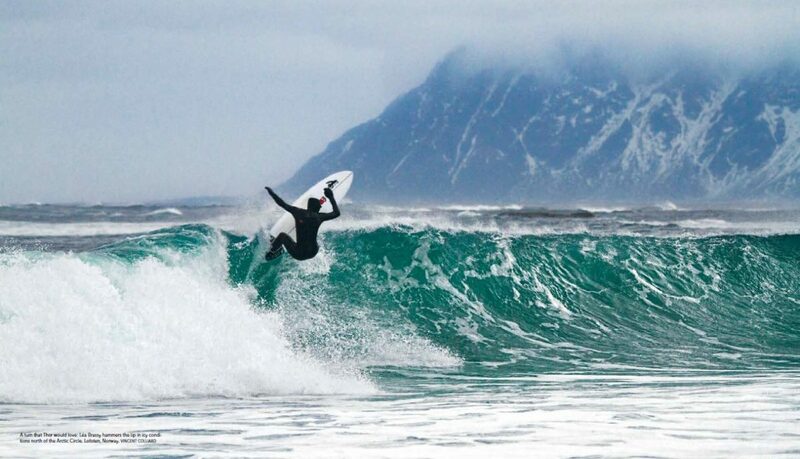 Use the slope and angle of the mountain to your advantage. Digging in from the side, or even from the bottom if the snow is stable enough, will allow you to drag your friend out of the snow rather than pull them upwards vertically. This is especially true if they are buried deep beneath the snow. Though an avalanche snow shovel is used primarily for rescuing buried friends, they can be used for a number of other tasks as well. Chief among these other tasks is snowpack study. Digging a small pit into the snow on a backcountry snowboarding expedition can alert you to what is happening underneath your feet. Oftentimes, the top layer of snow can be deceiving. It’s a great idea to take a basic class in snow conditions and avalanche awareness before heading out so you know what to look for. A snow shovel can also be used to erect an emergency shelter. If you are on a day outing and need to stay overnight, because of an emergency or mishap of some sort, a snow shovel allows you to dig a quick shelter in a tree well or a trench. It is much easier to do this with a shovel than with your hands. Even if you’re planning on an overnight stay in the backcountry and you don’t run into any major problems, a snow shovel can still be useful. They are commonly used to level out space for a tent to be set up when snow camping. They can also be used to carve out a windscreen to make the camping experience more comfortable. Finally, an avalanche snow shovel can be used to create fresh drinking water for your crew. Of course, hands work well for this task, but a snow shovel allows you to dig snow faster and with less energy spent. Simply scoop up a shovelful, melt, and drink. Avalanche snow shovels come in all shapes, sizes, and designs. It really is hard to rate one over another because of the variety of materials that go into their construction. However, a strong and lightweight snow shovel that can be easily attached to a backpack is a great bet. Practice, Practice, Practice, Figure out how your beacon works and practice some more.